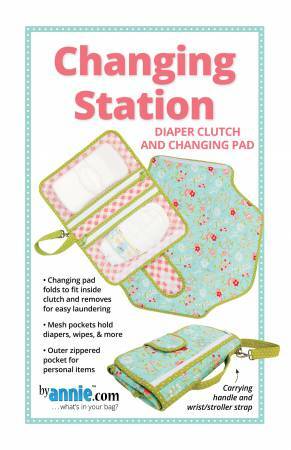 Two large zippered mesh pockets hold several diapers, baby wipes, and even small toys to keep baby entertained. An outer zippered pocket holds personal items and a handy flap closes the folded clutch keeping everything contained. Uses SUP209+Color, PBAZIP24+Color and PBAZIP30+Color.